As 2015 approaches, we asked George Hunter, CEO of Small Business BC (SBBC) to share his insights and tips to help business owners hit the ground running in the new year. Known for his leadership in BC business and technology communities, George gave some candid advice for business owners on one of the key ingredients to success. LN: First let’s shed some light on definitions. There seems to be uncertainty over exactly what IS a small business. George Hunter: We use the one from the Government of BC that defines small business as having less than 50 employees. Different jurisdictions — for example, the United States and Government of Canada — have different definitions. LN: That’s a bit surprising. Many 49-person companies wouldn’t think of themselves as small business. George Hunter: No of course not. The way each company sees itself is highly dependent on the criteria they use and revenue is a big one. You can have some extremely small companies from an employee perspective that are very large in revenue. These definitions have to be used in context. LN: Since SBBC is the go-to for small business — and small business accounts for a whopping 98% of actual number of businesses in BC — you’ve got a unique perspective in the midst of all this activity. What are the biggest challenges these businesses are facing today? George Hunter: Well, it really depends on where that company is in terms of size and development. If you’re a fast-growing tech company, for example, or if you’re a corner store or a local dog-walking business, the challenges you face can be wildly different. Generally speaking, every business has the money issue – getting it, managing it, dealing with it, keeping it. However, some of the challenges we found in recent focus groups were quite surprising. For example, one of the biggest challenges new businesses face is simply finding the right name for their company. Time management is a very big deal for small business, as they try to manage dozens of different things with very few hands on deck. But the survey gave even more surprising results on the things that weren’t as important to business owners. Understanding social media, for example, was quite low down on the list. And preparing a business plan — only 7% of the respondents thought that was important. That’s a big concern. George Hunter: Because we see the heartache of this reality every day – that roughly 50% of new companies go to zero within five years. For many, they wait until there’s some kind of crisis and by then it’s just too late to deal with it. A LOT of the problems that small businesses face can easily be overcome with a little bit of planning. LN: You must have some great stories, though. Tell us about one or two of the successful companies that have come through your doors. George Hunter: This is tough because we see thousands of companies every year. A lot of them have become very successful award-winning companies. A great recent example is Jason Mason of Mason’s Industrial Wear. He came through our office, worked with us on his marketing strategy and his plan, and developed his business … really working hand in glove with us. And he’s going to be on Dragon’s Den … in fact he’s appearing tonight. He’s done exactly what entrepreneurs should do. He identified a problem, set out to find an answer to it and transitioned that into a business. He happened to be a snowboarder who liked to snowboard wearing jeans. And the problem is you get wet. So he’s come up with new materials for outerwear so that people can work, ski or snowboard in water-resistant jeans. He started his manufacturing process and he’s in the process of raising money, which is why he’s on Dragons’ Den tonight. There are many others that Small Business BC has worked with. People like Lisa von Sturmer from Growing City and the folks from Holy Crap in Sechelt. Both extremely successful, award-winning BC companies. It’s nice to provide them with a platform to leap from local business into the national spotlight. LN: That’s a win all around. But for many entrepreneurs, it’s always a case of “you don’t know what you don’t know”. What is the one thing you wish small businesses knew better? George Hunter: The importance of planning. We see lots of people, and just about everyone who comes in has got lots of passion. But they’re so impatient to get things going that they don’t see the value in doing the planning. Actually one of the things I love about Jason Mason is that he said, “Everybody’s got a million dollar idea. Can you show the work? Walk the walk before you talk the talk. Write a business plan. Have a business plan. Update your business plan. Business plan. Business plan. Business plan.” I agree. It’s interesting. We all promote passion and perseverance as the key to success for small business. Well, passion, perseverance AND preparation are actually the solution. The preparation part involves sitting down and actually thinking about what your business is going to do, how it’s going to get there, what the potential pitfalls are, and how you’re going to deal with them. That’s the most important thing people starting out in a business should be aware of. And I’m not talking expensive, 50-page business plans here. I’m talking about doing something manageable and smart — literally sitting down with the planning canvas and working your way through it. You need to be able to talk about your company intelligently. The kiss of death for an investment occurs when the investor asks an entrepreneur a question about their business and the reply is, “I don’t know.” If you’re looking for financing and ultimately if you want to sell your company, then knowing those issues, being able to answer questions and being able to talk about your company is going to be critical. LN: Great words of advice, George. Thanks for your time today. 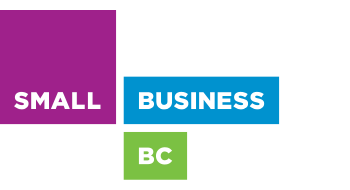 For more information on Small Business BC programs and services, visit their website at www.smallbusinessbc.com.